Day length is important to a hens egg production. 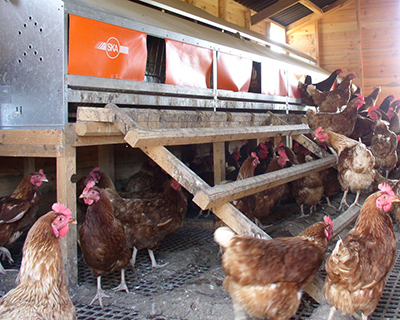 As winter approaches and the days start to shorten, egg production will reduce or even stop! 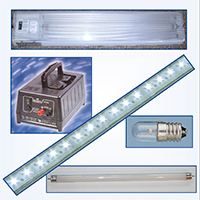 To overcome this artificial light can be used! 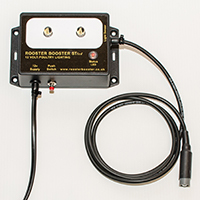 Powered by 12-volts, the Rooster Booster can be used in hen houses where mains electricity is not available. 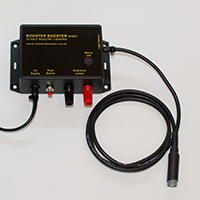 Connected to a battery (not provided), the rooster booster will provide light throughout the winter months, making it viable to keep hens in more remote areas. 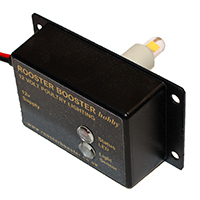 Monitoring the 24-hour pattern of natural light and dark, the Rooster Booster timer adjusts it self so that it only comes on when it is dark in a 15-hour period, thus maximising time between battery charges and ensuring that the hens enjoy the benefits of natural daylight. At the end of the day, after a short dimming time, a night period of 9-hours begins; no artificial light is provided during this time allowing the hens to roost. Alternatively a NATURAL DUSK option can be selected to provide light only in the morning allowing the hens a natural dusk.